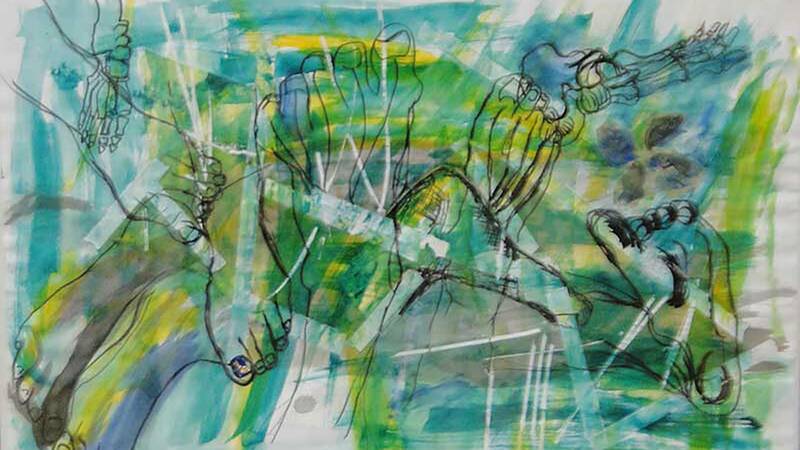 Sharron Fitzner's "Smiling Feet" is on view at Amarillo College. A pair of exhibitions by female artists will be on view for the next few weeks, as will a show by Tascosa ESL students. Sharron Fitzner's work, including self-portrait "Moon," will be on view through June 29 in the Russell Hall Art Gallery at Amarillo College. Amarillo College student Sharron Fitzner will display works in an exhibition opening Thursday. Fitzner, a New Mexico native who has lived in Amarillo since 2010, will hang works through June 28 in the Russell Hall Art Gallery in the common lobby between the Music Building and the Concert Hall Theatre on the AC Washington Street campus. An opening reception runs from 4 to 7 p.m. Thursday in the gallery. Her works include watercolor, mixed media, pastels, acrylics and charcoal. She has studied under AC professors Steven Cost and Stephanie Jung. Gallery hours are 9 a.m. to 1 p.m. Mondays through Thursdays. Call 806-345-5546. 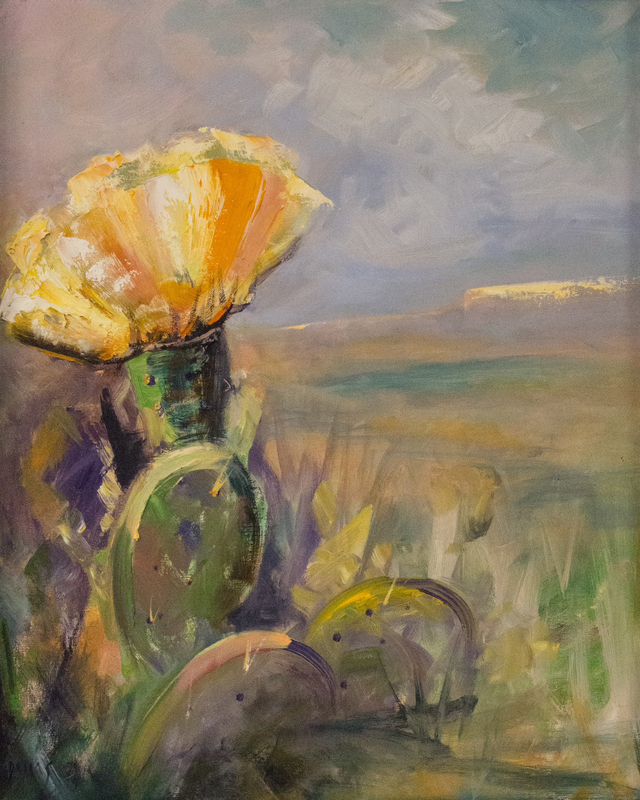 "Cheerful Cactus Blossoms" is among the works on view in Dallas Mayer's "Thorns and Horns, Where the Buffalo Roamed," on view through July 31 at the River Valley Pioneer Museum in Canadian. Area artist Dallas Mayer is exhibiting work throug July 31 at the River Valley Pioneer Museum in Canadian. Mayer is showing 53 works in her one-woman show Thorns and Horns, Where the Buffalo Roamed at the museum, 118 N. Second St. in Canadian. She will give demonstrations throughout the day on July 4 during the town's festivities. The museum is open 9 a.m. to 5 p.m. Tuesdays through Fridays and 1 to 4 p.m. Saturdays from April to October. This painting by Van Mawi Josh Thang is among works by Tascosa High School ESL students hanging at Chalice Abbey. 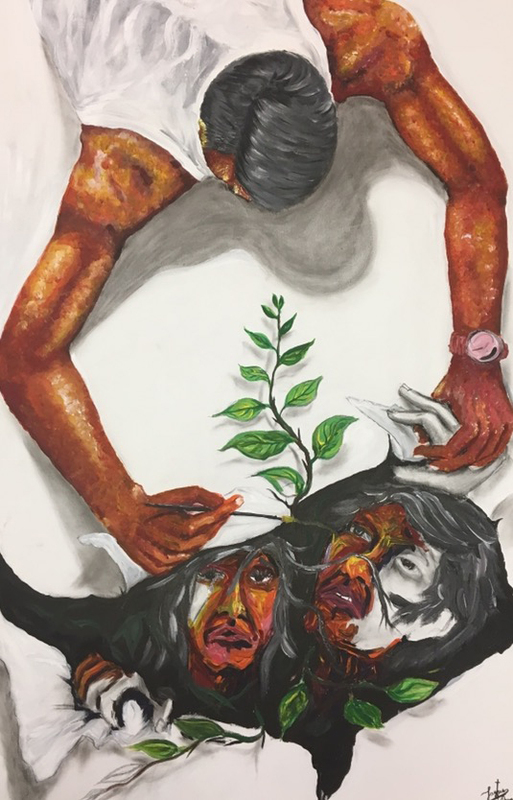 An exhibition by students from several countries will go on view Friday at Chalice Abbey Center for Spirituality and the Arts. Dreams will hang through Aug. 4 at the center, 2717 Stanley St. An opening reception will run from 5 to 8 p.m. Friday. 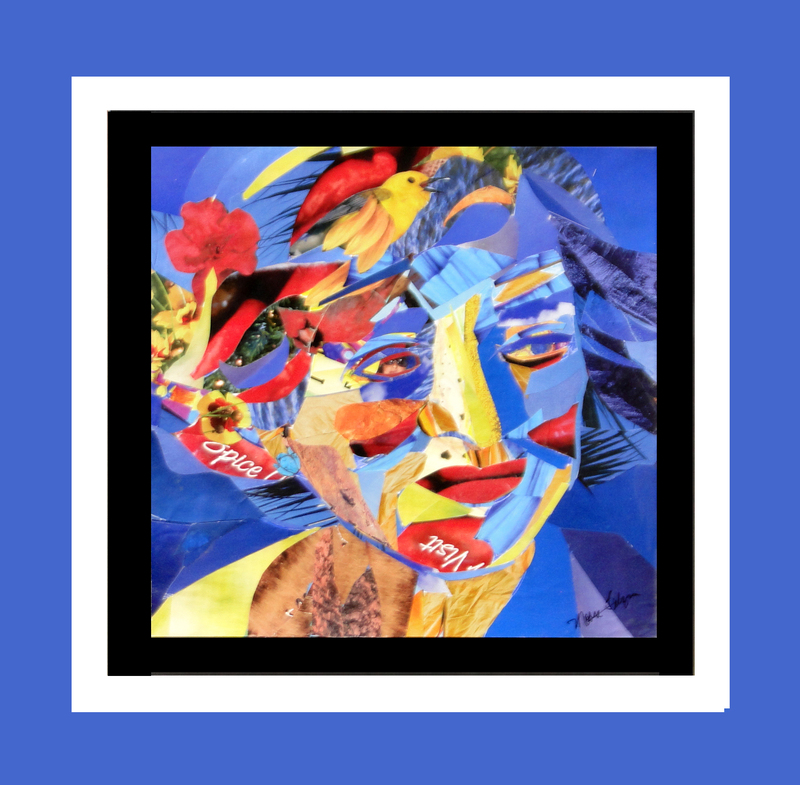 It features artwork and poetry by Tascosa High School English as a Second Language students from Myanmar, Cuba, Mexico, Congo, Iraq, Iran, Thailand, Somalia, Kenya and Sudan. "The goal of the project was to look at how dreams change as one grows older or their opportunities change as a result of relocation. Many of the students in the classes have had to relocate as refugees because of war and violence in their homelands,” said Ande Parlow, ESL instructor and one of the organizers of the exhibition. “Through introspection on their life goals, some realized that their dreams hadn’t changed but the opportunities they have now make these plans more attainable. Most recognized that their dreams changed a lot when they moved; many of those goals become bigger with the added opportunities of college accessibility, tutoring, and community support." Gallery hours are 10 a.m. to 6 p.m. Mondays through Saturdays.